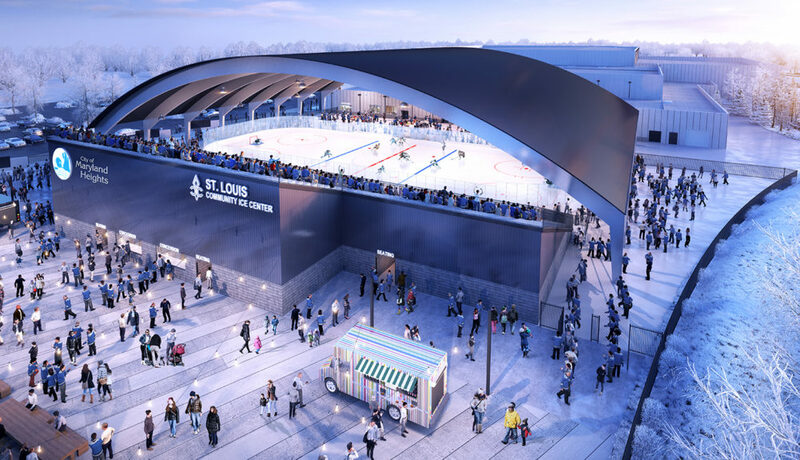 In partnership with the St. Louis Blues and ARCO Construction, Generator Studio is designing a new 275,000 SF ice complex in Maryland Heights, Missouri. 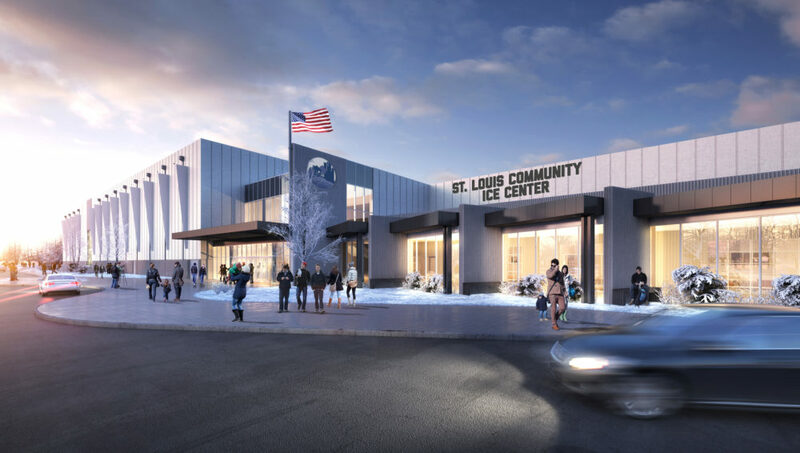 At its envisioned opening, the St. Louis Ice Center will be the first new indoor ice complex for St. Louis in decades, and will arrive at a critical time. New facilities are needed to accommodate the demand for area youth hockey and other ice sports. Youth hockey is rapidly expanding in the region, driven by the St. Louis Blues’ Hockey STL 2020 Campaign. 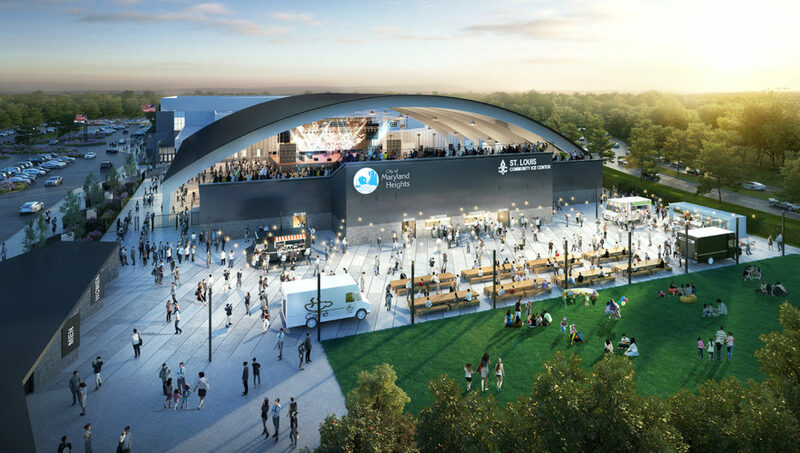 This four ice sheet facility will feature a 2,500 capacity rink, the St. Louis Blues practice rink, a indoor community rink, and a covered outdoor rink. Connecting the rinks is the Hall of Honor named in celebration of St. Louis’ hockey heritage. When complete the complex will allow greater flexibility to host regional & national tournaments. Collegiate and elite player locker rooms will be provided in conjunction with a new training center for the St. Louis Blues.